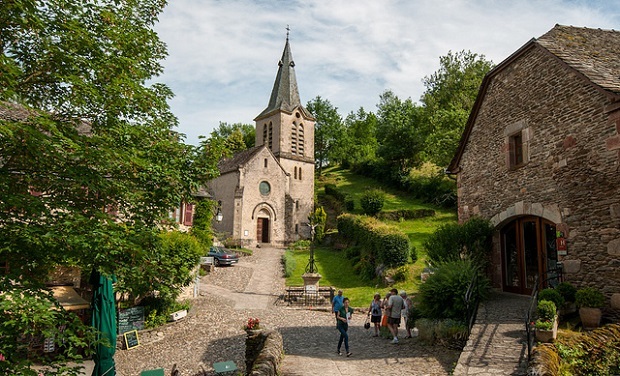 It is part of the select club of the most beautiful villages of France, some of which I visited on my recent trip to Aveyron in the north of Toulouse in the Midi-Pyrénées region. When you get to Belcastel, do not be so surprised, if you access the valley following the course of the river or in the mountains, watching a panoramic view of the village when you realize the charm that locks. For the first valley you’ll notice that conglomerate stone houses form crowned by the castle. Of course you can’t miss the stone bridge of 1409 built by the same architects who built the famous bridge of Avignon which displays a beautiful scene with the church of the same era. If you come from above, you’ll certainly see the figure of the century, the stone castle XI which acquires greater prominence among lush green forests surrounding the town. 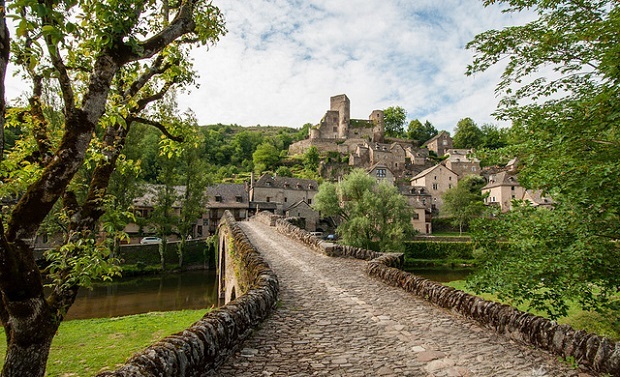 Belcastel is a very small town with only 48 residents throughout the year but in this valley there is record that people already lived here in the fifth century. 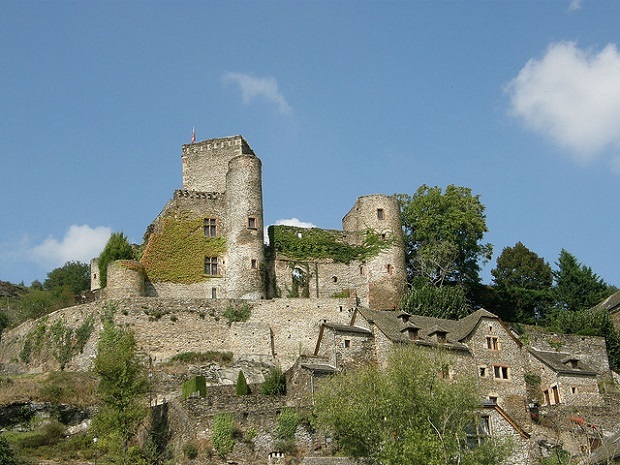 Belcastel Castle was built in 1040 and was serving a monitoring function. To go through Belcastel in the Middle Ages there was established a toll. Throughout history many lords lived in Belcastel but their decline came when in 1762 the castle was abandoned. 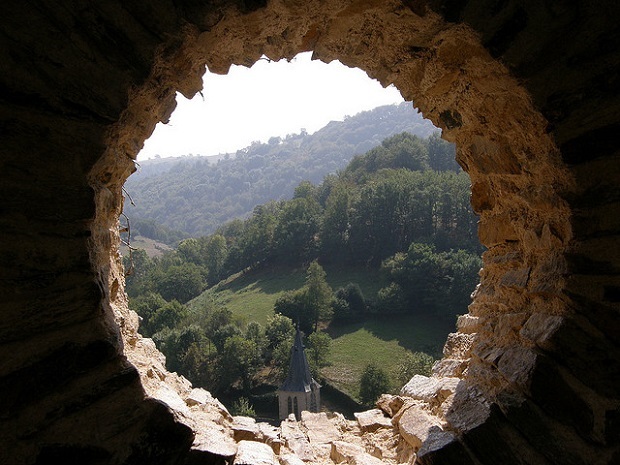 It was in 1974 when the renowned French architect Fernand Pouillon was delighted with the beauty of the people and then decided to buy the ruins of the castle and start rebuilding. He could not see it finished as he died in 1986 and today is buried in the churchyard of Belcastel looking at the castle. Claude Cayla, Belcastel mayor since 1983 who assisted us during our visit is very proud of the effort in rebuilding the town which now has become a touristic place. When you travel to Belcastel you have a great sense of stillness at least when I did because there were hardly any tourists. Crossing the bridge and sitting on a terrace next to the church overlooking the village and the castle fosters this feeling. If you enter the church you can see the tomb of Alzias of Saunhac, the first Belcastel lord who lived in the late fourteenth century. 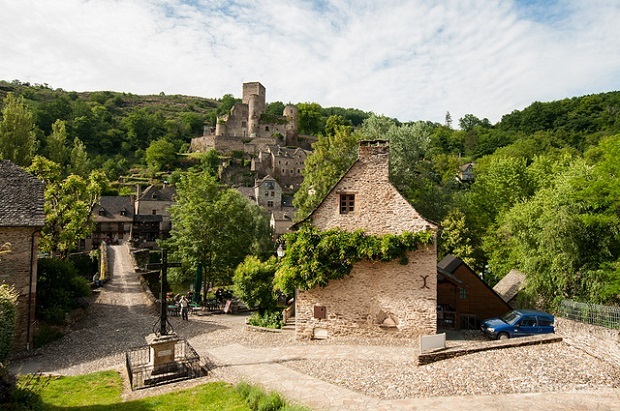 Belcastel’s Castle is now owned by some Americans and you can visit part of it. 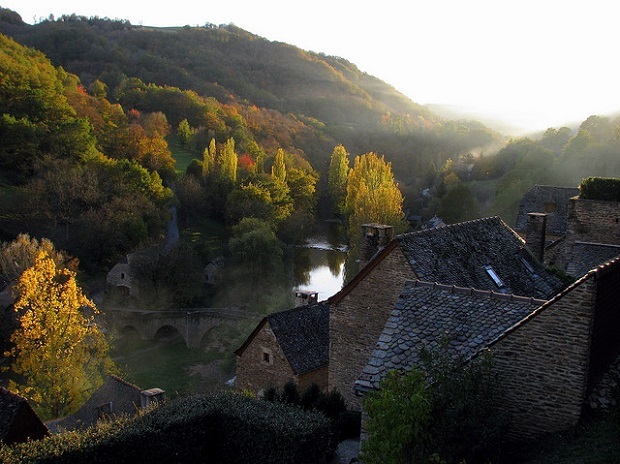 More on France: France | The majestic position of Najac Castle in Aveyron, Discover the medieval town of Conques in France. Belcastel photos: Jesus Perez Pacheko, Lara Jungle Princess, Coccia.